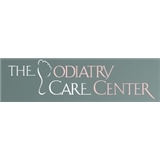 The Podiatry Care Center, LLC (Glenn Dale) - Book Appointment Online! We specialize in the treatment of the foot and ankle to get you back on your feet and resume the activities that you love. We place an emphasis on therapeutic care and only recommend surgery after all therapeutic measures have failed to improve your condition. Our practice specializes in the treatment of the diabetic foot, sports injuries, foot deformities and reconstructive surgery for all ages. We specialize in the correction of hammertoes, bunion, and pediatric foot ailments. We have a specialty in skin disorders such as toenail fungus, athletes foot, ingrown toenails, and warts, just to name a few. We also provide several therapeutic shoes, cosmetic protocols, and various foot care accessories. Not only do we effectively diagnosis and treat your needs, we counsel you on the best ways to maintain your foot health and overall well being.